FDB is a totally sterile and ultra safe food for bettas. The freeze dried process kills all bacteria and parasites present in the bloodworms. It is the safest food to feed in respect to disease outbreaks caused by food. Bloodworms are not actually "worms" per say. They are insect larvae, which is a cleaner organisms. If you are allergic to FDB you can try to cover your mouth and nose while feeding and to wash your hands thoroughly after you are done. It will help. However in my case it just wasn't enough. hence I had to switch to frozen bloodworm instead. Geese, the irony is that one of the best FDB product on the market today (San Francisco Bay Brand) has a photo of one of my betta on it :)). Maybe they should have put a photo of me sneezing instead LOL. Recent surveys suggest that only 1 out of 50 people may be allergic to this food. So more than likely you are safe. But if you start sneezing while feeding your bettas, you will know why :). FDB is not adequate as a sole food to raise juvenile bettas. Bettas will tend to not grow as fast, or as big, or as nice. 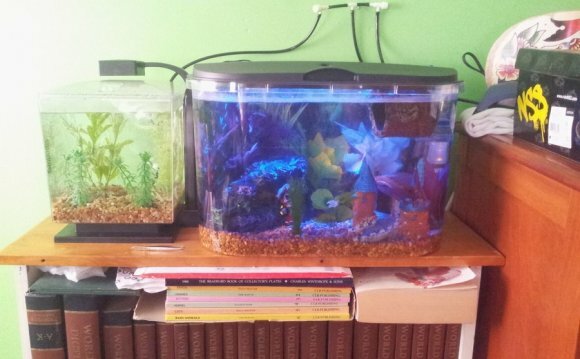 Having said that, FDB is an easy, fast and good way to feed your adult betta. Beats the HECK out of flakes! (If you feed our betta flakes, you should be shot on sight LOL). Now in closing, I would like to say that regardless of how good a food is, it is always best to OFFER A VARIED DIET to your pets (bettas included). Try alternating with Freeze dried Brine Shrimp, and now and then, as a treat, a tiny piece of avocado (yop, bettas like it! ), or pea (take a defrosted frozen pea, take the skin off, cut a tiny piece with your nail and give it to Mr. Betta) would give some other needed elements to your fish diet without necessitating you having to go to the fishstore and spending money. Some bettas might also eat a tiny piece of lettuce or apple, etc... Please don't start tossing beef stew, chocolate cake and Chinese left over food in your betta bowl!! Limit yourself to a tiny piece of above mentioned natural, healthy veggies. Last but not least, if you cannot offer a varied diet to your fish, then consider spending $5 on a small bottle of fish liquid vitamins. Your betta will thank you for it! Well kids, all this talk about food (especially the chocolate cake part LOL) made me hungry, so excuse me while I quietly slip behind the stage curtains and take myself to the cafeteria for lunch :). Hello! I just want to say that you come up with great ideas for your website! I didn't really know that was coming.